When it comes to the female body, some parts seem to capture a lot of attention! One of the most important parts, however, is rarely thought of until labor is looming overhead…and that fascinating part is the cervix. Understanding the role of the cervix can really help a birthing woman identify what she is experiencing in labor. Simply put, the cervix is the “neck” of the uterus. If you envision the uterus as an upside down pear, the cervix would be the narrow area toward the stem. Prior to pregnancy and during pregnancy, the cervix is designed to stay narrow, thick and closed. There is a small opening in the cervix called the os, but that opening is less than a fingertip. When thinking about the function of the cervix, the first words you want to understand are “effacement” and “dilation.” Those two words explain what happens to the cervix during the first phase (or stage) of labor–the part of labor that usually takes the longest and leads up to the pushing stage. As the cervix prepares for labor, it is said to “ripen.” Yep, just like a fruit. When a fruit ripens, it gets softer, right? That’s exactly what the cervix does, but the ripening process for the cervix is called effacement. Prior to this softening or ripening, the cervix is described as “green” or unripe. If you take your fingertip and tap the tip of your nose, that gives you a good idea what a “green” or unripe cervix feels like. It is somewhat rubbery feeling and has a thickness about it. Before your cervix begins to efface or soften, it feels much like the tip of your nose. When hormonal signals are sent to the cervix telling it to ripen and get ready to open up so the baby can leave the uterus, it will gradually become softer and thinner and shorter. This process is measured in percents (%). If you feel your earlobe, that is similar to the feel of a cervix that is 50% effaced, or softened and thinned. The cervix will continue to thin, soften and shorten until it becomes as thin and soft as the skin between your thumb and forefinger. At that point, when the cervix is as thin and soft and short as it can get, it is said to be 100% effaced. 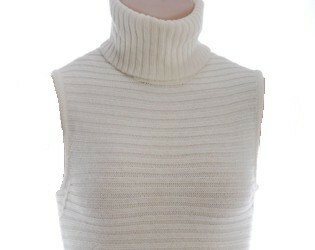 To get another visual of what an effacing cervix looks like, picture a turtleneck sweater with a narrow, tight neck. That would be like the narrow, closed cervix prior to effacement. Then think of a crew neck t-shirt with just a short, thin neck. That would represent the shortened, thinned and softened cervix. You can pull your head through a tight turtleneck, but it’s much easier to get your head through a crewneck t-shirt. Because of the brilliant design of the cervix, it remains tight and closed until it is time for the baby to be born. The thinning and softening process helps the cervix open more easily and helps prevent the cervix from being damaged during birth. The remarkable thing is that after the birth has taken place, the cervix will bounce right back to it’s previous tight, closed, rubbery state. So that’s effacement–shortening, thinning and softening of the cervix. Now let’s talk about dilation. Dilation is another word for “opening,” and that’s another thing the cervix does–it opens. When the pupil of an eye opens up and gets much larger in a dark room, that is a form of dilation. The cervix does the same thing; it gets more and more open. As it opens, the diameter of the opening is measured in centimeters (cm). At the onset of labor, the cervix is often open about the size of a Cheerio.By the end of first-stage labor, it is open to about the diameter of a grapefruit. It goes from 1 cm-10 cm dilated. So essentially, the uterus and cervix start off looking somewhat like an upside down wine jug with a long, narrow neck, and by the end of first stage labor, it looks like an open-mouthed mason jar! So…where did the cervix go? Well, as the uterus contracts, the muscles gradually pull the cervix up and open, and the cervical tissue is pulled up into the body of the uterus. The extra tissue is collected at the top (or fundus) of the uterus, which provides it with a thicker muscle to use in the pushing contractions that follow. It’s an incredible and wonderful design!